Want some street style inspiration? Who better to turn to than the fashionable couple, Anuskha Sharma and Virat Kohli? 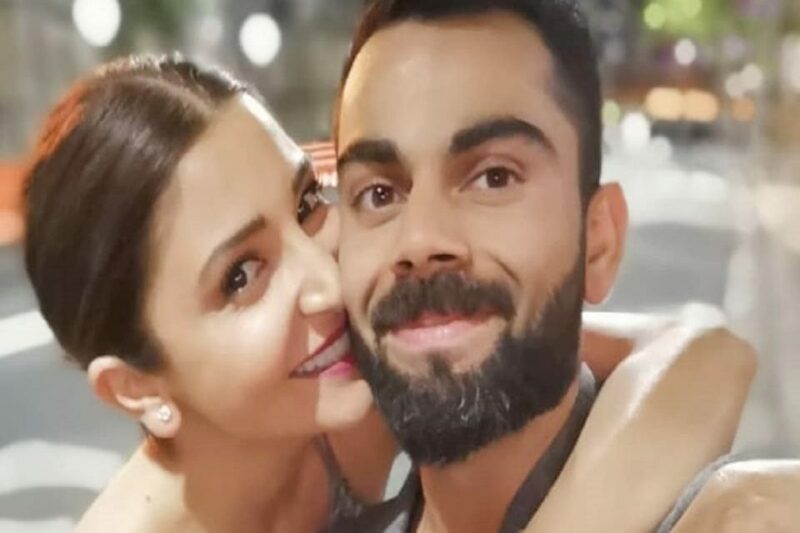 When it comes to style, both Anushka Sharma and Virat Kohli like to keep it simple. The couple who is mostly seen jet-setting across the world, always go for casual wear but they play it up with interesting silhouettes. Recently, the duo hosted a party for Royal Challengers Bangalore (RCB) team members where they let their hair down in chic casuals. Sharma teamed her blue crop top with a high waist white skirt with a belt detail. She decided to give jewellery a miss and rounded out her look with a smart watch, black criss-cross flats, blow dry hair and minimum make-up. Meanwhile, Kohli was seen going for the all-black look. We love that he chose to go for drawstrings pants instead of the fitted ones and how he broke the monotony of the look with tan leather sandals. We have always been great fans of their street style. We still remember how they made a statement during their vacation in Australia and New Zealand, earlier this year. In one of the pictures, they were spotted hanging out at a large ranch with beautiful horses in the backdrop, while enjoying a stunning sunset. While Sharma looked pretty in a high waist ripped black pants that she teamed with a basic black tee, Kohli went for a black tee shirt and a pair of beige shorts. Rocking the stripes look, on another occasion, the couple was spotted looking lovely in casuals. Sharma sported a grey and white striped shirt that she wore with a pair of black denims. Kohli, on the other hand, opted for an orange, white and blue print that he teamed with a pair of denims. In one of the pictures, the actor and the cricketer looked lovely as they posed in sportswear. Anushka wore a blue jacket that she teamed with black tights and shoes. Kohli, on the other hand, wore a black jacket that he teamed with a pair of shorts. His look was accessorised with a cap and a backpack. Talk about giving couple fashion goals!